Hardware fittings for specialist vehicles such as caravans, trucks, horseboxes, coaches and similar have very particular requirements in terms of, for example, safety flush fitting and ease of use, or the need to fit within very thin panels – our range of vehicle hardware addresses these requirements. A good example is the 9301 recessed circular handle for toilet doors which is available with a vandal-resistant push and twist fit cylinder lock. 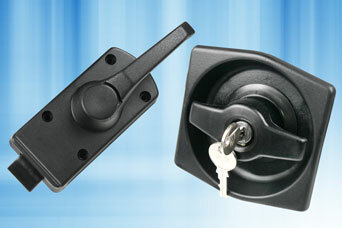 Complimentary latches for internal door use offer wing knob opening or L handle operation, or the 9500 anti-burst latch which also locks onto the door frame to prevent opening by force. This set of EMKA handles can be produced in customer specific colours to match the vehicle livery or to highlight their position for easy identification. 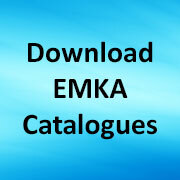 Share the post "EMKA vehicle door sets"
Next post: High street down – manufacturing up?